With the advent of technology, human love for gadgets has increased enormously. From Walkman to complicated Mobile phones, there is almost no stopping to this human fascination. With more and more advancement in technology, many conventional gadgets were extrapolated and modified to give rise to an entirely different set of models with varied applications. Although the current trend in technology aims at reducing effort, cost and time for personal chores, it doesn't seem to affect wealthy people even a bit. Inspired by London's BigBen, the D&W's Pleasure Loudspeakers are one of its kinds. One of the most striking features of this geeky set is the amalgamation of luxury with technology. Instead of normal alloy or metal, the instrument is casted in pure 18-karat gold and silver. This not only adds sheen but also significantly enhances amplification of the loudspeaker. The cost range varies from $70,000 to $350,000. If you can afford it, this one is a must buy. This may sound a little bit cheeky but not to any wealthy 8-10-year-old. 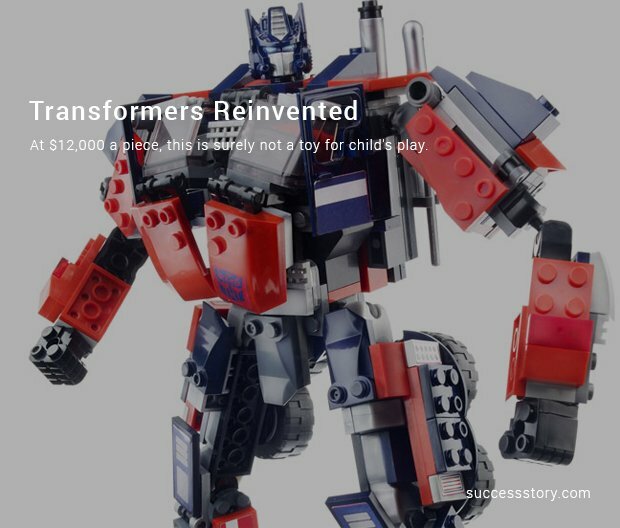 The Optimus Prime toy is made from pure alloy and carved with gold strings. However, most of the body of the toy is made from recycled materials. At $12,000 a piece, this is surely not a toy for child's play. The all in one computer-enabled control system is a little over-priced gadget. However, it sure does have its charms to catch the eye-balls of some of uber-wealthy individuals. With an integrated air-filtration system, control center for rooms, multiple LED monitors, automated arm-rest for control panel, electricity powered leather seat, the gadget is almost a complete home for the wealthy without a home. With a price tag of $50,000, it is one of the most affordable and beneficial gadgets ever. Probably one of the most elite home theatre systems, Batman theme home theatre is integrated with virtual projectors that include bat cave, pirates of the Caribbean and Las Vegas showroom. It also houses a variable panel of loudspeakers, LED TV and stereo surround sound. 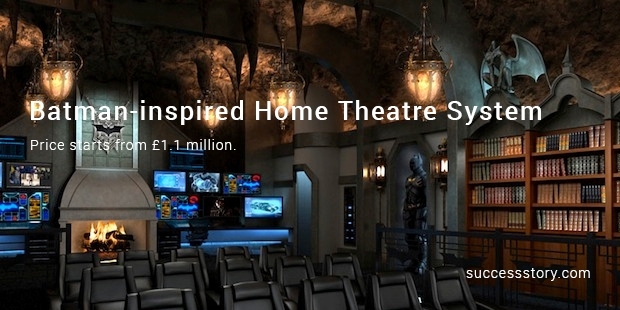 However, one of the most characteristic features is the built quality of the home theatre system. The price starts from £1.1 million. It’s not like the one gifted by Courtney Cox to Jennifer Anniston in Friends. On the contrary, this bicycle turns out to be even more expensive than that. 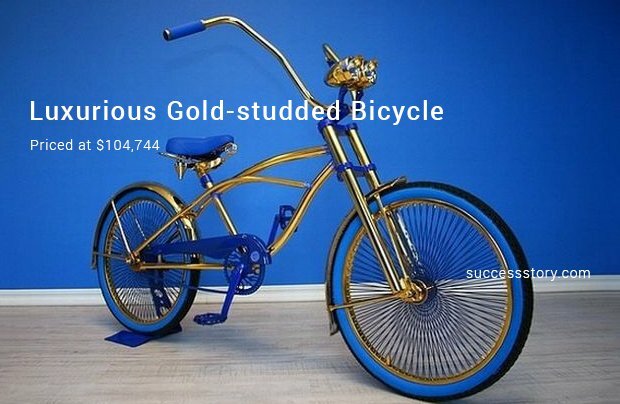 Carved in gold rims and body, it is priced at $104,744. What makes the bicycle even more luxurious is the glow when you are out on a promenade; however, make sure you lock it right in front of your eyes before you park. 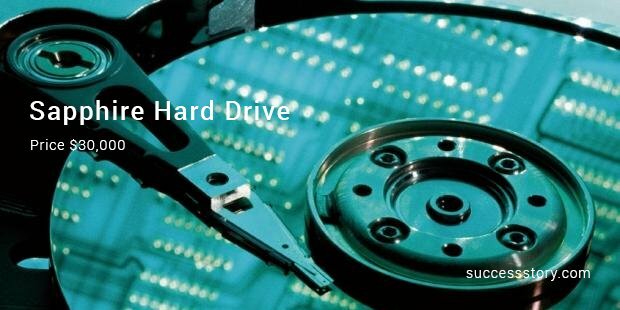 Designed by ANDRA, France, the Sapphire hard drive is made of high quality sapphire. It is easy to carry owing to its appropriate drive size. However, one might find it a bit less on storage. The drive is supposed to store only 40,000 miniaturized pages. Amounting at $30,000, this one might just add up as one more to the wealthy geek collection. We hope you like the gadgets we are talking about. It’s time to splurge if you haven’t already!